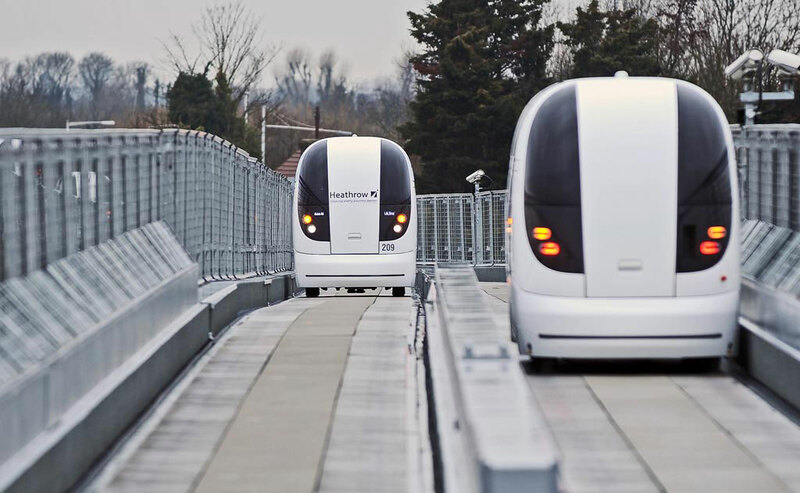 The development of the Personal Rapid Transport (PRT), later to become the Heathrow Terminal 5 Pod System, was the first project that really got founder Dr Torquil Ross-Martin started in Autonomous Driving. This started in 2000, five years before the Darpa Challenge kick-started public interest in the subject. Torquil was initially hired to come up with a ‘Plan B’ Guidance and Control System Design for the vehicles, in a proposed city-wide transport system, but when the Dutch supplier failed to meet the requirements, Torquil’s design was the one that went forward and is in use today. It was a really exciting time. Torquil was employee number two in a small start-up called Advanced Transport Systems Ltd, which was spun out of Bristol University. Torquil was hired for his vehicle dynamics and control systems expertise. The company was founded by Professor Martin Lowson, a distinguished PRT enthusiast with space and aerospace background (he worked on the original Apollo mission). Torquil and Professor Lowson put together a small team of clever and experienced men and women, and – having won UK Government funding in an Innovative Transport competition – developed a working system, ready for initial passenger trials, in under two years. Torquil progressed to being Head of Vehicle Engineering and then Head of R&D. The role exposed him to all aspects of electric autonomous vehicle design and everything from sales and marketing to fund-raising and business planning to supply chain management and safety certification processes. It also brought him into contact with a wide range of individuals in business and government – many of whom he can now call friends. A lot of what the team learnt was stuff the automotive industry seemed blind to, and has only recently started to admit: that for many people car ownership is driven by necessity, not desire, that the public often can’t predict how they will react to transport innovation until they get to try it (so they always keep asking for more of the same, until you actually give them something different – like Henry Ford’s first customers asking for faster horses), and most of all we learned that such innovation takes inspiration, determination, hard work, perseverance and a great team – but that the satisfaction end result is most certainly worth it. We Believe In The Future – Join the AutoRD Community on Social Media Where We Can Answer Questions and Get To Know You.